If the phone had been decent, but another mid-range Android? Perhaps a Qualcomm 430 + decent battery will give them a phone which has a few days standby time. Might be a selling point. This. The main reason Nokias are remembered so fondly is durability and battery life. 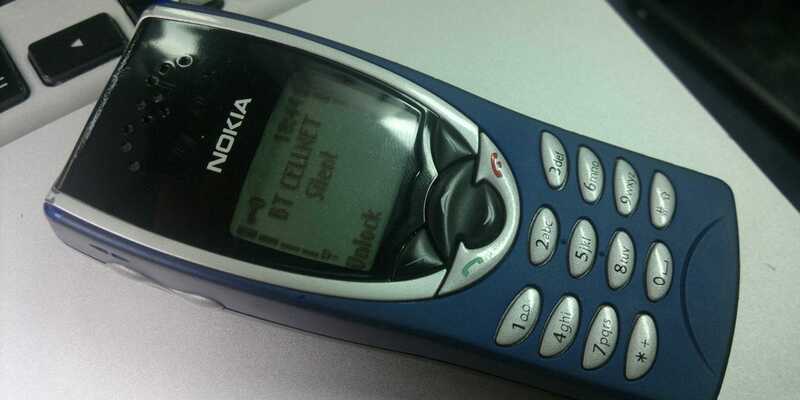 I've heard that, but as a one-time Nokia owner I never experienced the famed durability. I had one of the old candybar Nokias and it was a vegetable at the end of my two-year contract. The screen only worked if you shifted the two halves of the case into exactly the right position and one of the buttons was frozen. Admittedly, the phone liked to squirt out of my hand like a bar of wet soap about once a week and had an unerring ability to find the hardest surface in a 10 foot radius. If that alarming tendency to 'squirt' itself at hard surface at least once a week through a two-year contract period, still allowed the phone to function at least with difficulty - then I'd say that was a glowing testament to its durability. I had a drawer full of old candy-bar Nokia phones that still worked so I was reluctant to bin, and when a friend told me they were going on a tour of India I happily packed them off. I was delighted to receive a call from the deepest, darkest India to thank me for my donation - which was the only phone in the commune and doing stalwart service somehow. Which is a testament to its durability, long-lividly and appreciated service - at least in rural India. I wish Nokia well. If you want better battery life, move closer to a cell tower. At home, about 500m from a tower, I get 2-3 days of standby. At my parent's place, with a tiny amount of signal in some rooms, and none in the rest, I'm lucky to get a whole day out of it. If we're talking about standby time, I get about six to seven days out of my Lumia 950. And that has a removable battery. "If the phone had been decent, but another mid-range Android?" Surely the 600 series is midrange, the 400 series is low range? It only uses A53s, which are several generations behind, and the GPU is slow. If it's stable and doesn't vent with flame, then it is off to a good start! Removable battery might be a good plan, at least that could be replaced easily. "True" Nokia support in the last few years of life was flippin' terrible! I remember being sanctioned on their support forum for simply stating "how it is" as an end user. I pointed out to the support droid that they should be as concerned as I was, as they'd be out of a job if the company collapsed. I do hope those words were still ringing in their ears when 6 months later Elop arrived and trashed the place. I don't think they will be able to convince many of their durability. When you drop a Nokia on a concrete floor, what should happen? A) You break the screen. B) You break the floor. That's why they won't pull it off. Once upon a time, Nokia had a good reputation for hardware. That reputation is a valuable thing so they're trying to sell it. That makes sense if you're a Nokia shareholder. However, even if you believe that Nokia are still great at hardware they are not making this phone Foxconn are. So if you buy one of these phones and pay a premium over other Foxconn phones, you're a fool. Not quite. I'd take ten of them over a Lumia any day, hopefully they don't auto update to WP10. Re: "An early Nokia Lumia"
hopefully they don't auto update to WP10. I seem to have that inadvertently covered. My 3-year old Lumia is stuffed full of photos and doesn't have room for any software updates. I always said I would have loved to have seen a Nokia Android phone before they went and committed exclusively to Windows Phone. I hope Nokia had had some input and it works out well for them - even if it is manufactured by Foxconn. I think they did - https://en.wikipedia.org/wiki/Nokia_X - but it wasn't a great experience if I recall correctly the review. Presumably if the mid-range-range is a success, they'll follow along shortly? The Nokia legacy brand itself is worth a small per unit premium, so it makes sense to go for volume first and prove the concept. If they don't try to over-tax the brand they will make some profits and then they can come with the high end devices at a higher premium. The key is to smoothly integrate their special sauce and get it in front of as many people as possible. It will be a difficult trick to take, but I believe they can do it. I don't think the manufacturers have bought any Nokia (as in the actual company) IPR, just the right to use the name; so fancy phones with fancy tech seem unlikely to me. They look to be S30 phones, like the Nokia 100 serie. Yeah, it's not a Lumia, it is in fact a recent phone from Microsoft. Seems to be running Mediatek's Series 30+ (not related to the S30) so I would guess it is the Nokia 215. Will these support the usual bevy of chat clients (eg telegram, whatscrap, allo etc)? 1) Promise at least 3 (or even 5) years of updates. 3) No bloatware, vanilla android. However it's more likely Jeremy Corbyn and friends will win the next election than any of the above happening, especially point 1. Monday 10th October 2016 15:05 GMT PM. They could do it and _promise_ 5 years of updates. But even if they will promise it , don't believe . Not going to happen in reality. How could any company promise 5 years of updates unless they also upgrade your hardware as well. The first Nexus was launched 5 years ago, and Blackberry 7. >How could any company promise 5 years of updates unless they also upgrade your hardware as well. Piffle, W10 runs quite well on HW older than 5 years and so does Linux. Sierra will run on Macs up to 2008. It's only because the don't want it to, guess what a 1999 Nokia 3210 will still make phone calls. "Piffle, W10 runs quite well on HW older than 5 years and so does Linux. Sierra will run on Macs up to 2008." "Current Linux, Mint 17.3 with Mate and no Compiz. Works on some 14 year old laptops and PCs. " Pretty sure, based upon context that the poster was talking about smartphones, rather than PCs. >Pretty sure, based upon context that the poster was talking about smartphones, rather than PCs. Any modern smartphone is more than capable of servicing the needs of a user that it was created for a good 5 years. You have a point if the user wishes play the latest and greatest games or some app that will display picture of cats in amazing 4D but it will continue to perform Mail, light browsing, MP3, camera, texts, light gaming a few years yet. I have an old s2 galaxy as a reserve phone which is capable of all those functions and incidently 5 years old, it's just Samsung who hastily abandoned it to all and sundry hackers, not I. "guess what a 1999 Nokia 3210 will still make phone calls." So how many software updates does it get? Will it still make calls once 2g gets switched off? >So how many software updates does it get? Will it still make calls once 2g gets switched off? 16 years is a bloody good run by modern standards. New features for 2 years, security updates for the following 3 ? Works on some 14 year old laptops and PCs. Admittedly good ones. Oh, they can promise alright. The problem begins when chipset manufacturer stops supporting operating system and unlike with open architecture of PCs not much you can about it. It's just about the only thing that could convince me to buy a new phone in the foreseeable future... I'd go for a hardware keyboard in a heartbeat. There is a real dearth of choice at the moment with phones - millions of the things to choose from so long as you're happy with an oversized greasy glass slab. device focused on 1) phone calls and 2) email. camera is very handy, but it doesn't need to be 40 billion megapixels, just have a semi-decent sensor and lens. I have a phone for you, my Blackberry Torch 9810 ticks (almost) all those boxes. It's a bit beaten up, but works a charm. And the battery is removable. Funnily enough, my current phone is also a Blackberry (9105) and ticks all the boxes (admittedly the camera specs are rather unimpressive compared to today's offerings but it works perfectly acceptably.) It's still working as well as it did when I first got it six years ago - I did replace the battery this year, a brand one cost me a whole £1.50 including delivery! It's sad that Blackberry committed suicide in that most idiotic way - by taking away the things that made their existing customers happy, and instead offering bland, identikit phones which were more or less exactly the same as what everyone else was offering but slightly outdated and at stupid prices. In the same way that I wish there were even more chain stores on our highstreets, I always wish there were even more middle of the road phones introduced that could run exactly the same OS as every other middle of the road phone out there, and so look and feel identical. And today my wish has been granted. I might buy one of these, or maybe something else. Or I might not. The word is... one of these new phones is called the Nokia Off. The Blackberry Bold 9700 DOES tick all of those boxes. It has been for me for 6 years. If only Nokia would make a phone that had speed in conjunction with the built quality of the E71/E72 - they may just actually have a winner. Bluetooth was a disaster area; the headset would lose synchronisation with the handset so that you'd terminate a call and the buttons or the audio would randomly not work again until you power cycled both devices. Or rather you'd allegedly terminate a call. That rendered it useless for handsfree operation in the car as the only compatible wired headset I could find at the time was a "bud" rather than "buds". Synchronising contacts? Probably the most snoozeworthy of its features. I once worked out the effective data rate at around 7 bytes per second. Setting up WiFi was easy if you knew that you had to power cycle the 'phone to make some of the changes take hold - and that critical fact wasn't mentioned anywhere in the documentation. So yes, I was an ambassador - but for the sort of second-rate country that has its embassy in a single room above a grubby chip shop in a cheap area of town. That looks like the sort of thing that I want for a work phone. Work have been trying to replace my Nokia 300 with WinPhone for some time but I've resisted as I need something that will hold charge for more than a day and survive an unscheduled trip below a suspended floor. My brave little Nokia will do that, make calls, send and receive texts and take a photo of the back of a server. Add a screwdriver and the ability to use it as a hammer and it would be my ideal work tool. I despise MS, bought a Nokia phone because it was cheapest. the 'smart. part is not at all intuitive, but as a phone it is brilliant - receives and makes calls when my Android cannot connect, and the battery lasts twice as long too. I will happily buy and Android one if the technology stays with it. I don't think current CEO is getting the picture. It seems that he is will give any Chinese company to use Nokia name if they pay him. The old Nokia was famous in south-Asia for it's build quality. MS already hurt it badly. The only thing is needed to kill it is a chinese company made Nokia. People will buy it for sometimes for past memory(there are still many Nokia phones people use, many of which are over 15 years old), but they'll soon abandon it if they cost more but don't have many times reliability than Chinese or Samsung phones. I think Nokia should try to become HTC than past Nokia. You can't compete with chinese when target customers aren't rich and you don't want to destroy brand image. To do it you have to become just another Chinese phonemaker. 'I don't think current CEO is getting the picture. It seems that he is will give any Chinese company to use Nokia name if they pay him. " If you look at HMD Global's website you'll see that they are actually a Finnish company with headquarters in Helsinki. It looks like there's a bit more to it than just licensing the Nokia name, with some interesting info there about how Microsoft and Foxconn fit into the overall plan as well. Just make something mid-range, more sturdy than Xiaomi, and not insanely overpriced because the executives have delusions of grandeur regarding their own brand (Sony). Then pick up the business from there. Don't forget the (active) dual sim and legendary battery life Nokia was famous for. There's still Jolla, who surfaced from the Nokia shipwreck after the ship was steered into the Windows iceberg, with what was salvageable from MeeGo, and are gamely striving away to make their Sailfish OS a potential third player. I wanted to support them, so after finally having to give up on my Nokia E7 (I really loved the slide-up touchscreen and real QWERTY keyboard) I used a Jolla phone as my main phone for about a year. The OS/UI is pretty nice, and quite attractive, and in some ways I prefer it to iOS, but many of the built-in apps were a bit rudimentary, and without better third-party app support (and better syncing), sadly they are going to find it hard to move beyond their 'techie hacker' niche, which is a real shame.